William H. Turner, who holds the National Endowment for the Humanities Chair in Appalachian Studies at Berea College, offers a lecture titled Blacks in Appalachia: Past, Present and Future at 4:30 p.m. Wednesday, March 24, in the Benjamin Mays Center, 95 Russell St. Sponsored by the Office of Multicultural Affairs, this event is open to the public at no cost. For more information, please call 207-786-8376. 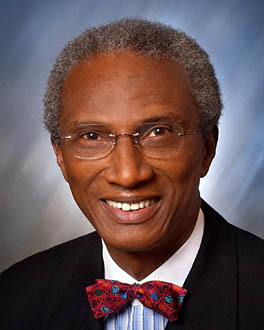 A sociologist, Turner’s interests include the experiences of African Americans in Appalachia, diversity in higher education and the sociology of historically black colleges. He was the first to combine interests in the fields of African American and Appalachian studies, becoming the inaugural director of an AAS program at the University of Notre Dame in 1969. With Edward Cabbell, Turner co-edited the book Blacks in Appalachia (University Press of Kentucky, 1985), which has in a sense come to define his distinguished career, bridging previously unconnected areas of study. A native of Lynch, Ky., Turner received a bachelor’s degree in sociology from the University of Kentucky and earned his master’s degree in sociology and a doctorate in sociology and anthropology from Notre Dame. He has held positions in teaching, research and administration at several colleges and universities. Turner has also written, directed and/or produced several documentary films about diverse aspects of the African American experience.